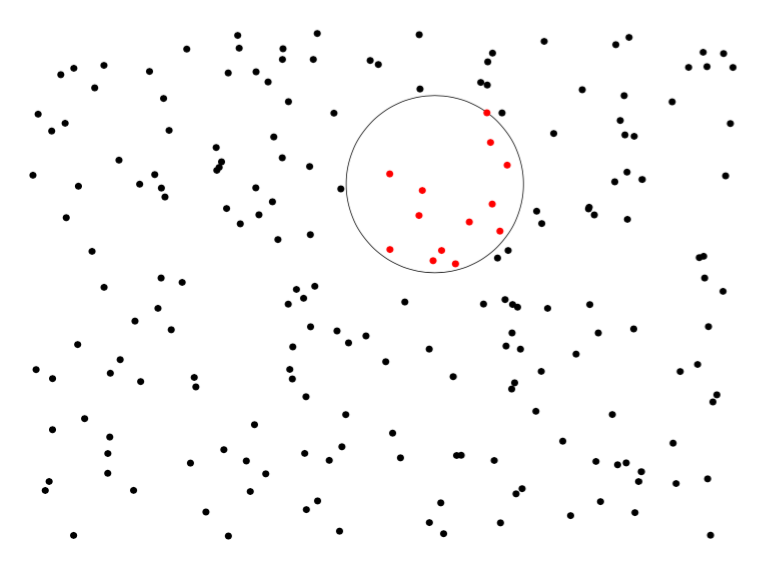 How to color randomly drawn dots within a circle? Using answers based on previous (somewhat similar) questions, I was able to create the following plot. 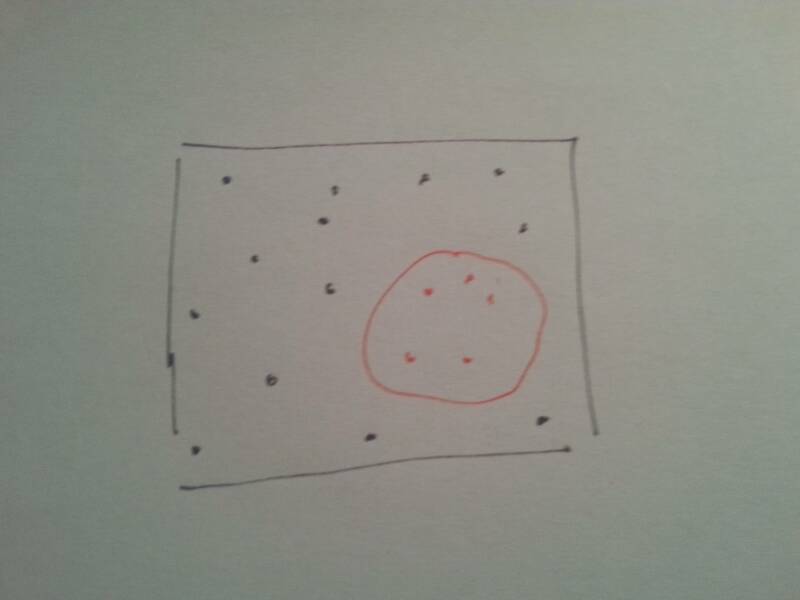 However, I have no clue how to color the dots inside the circle in red (I have a vague idea that involves basic geometry and ifelse by checking every dot if it is placed inside the circle... does that make sense?). i.e. 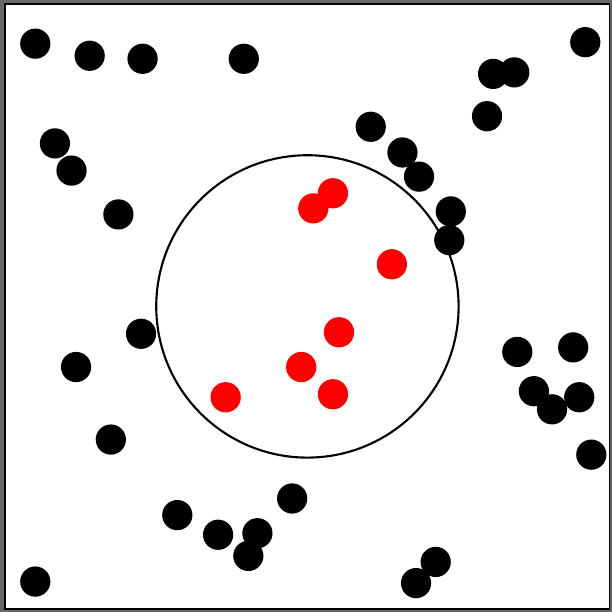 they are less than r away from the center of the circle. If you use <=, then points on the border still count as "inside", if you use <, they won't. 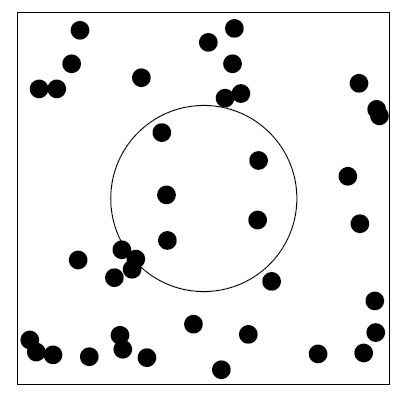 If you don't mind working in points, then the TikZ math library may be helpful. 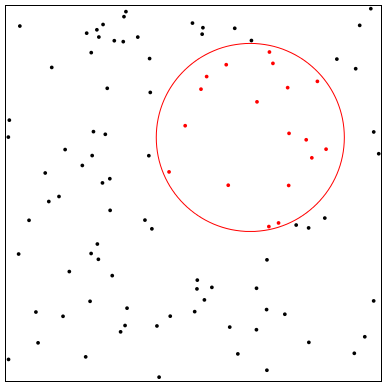 Here, points are rejected if they would lie on the border of the circle. Metapost is also very good at this sort of diagram. 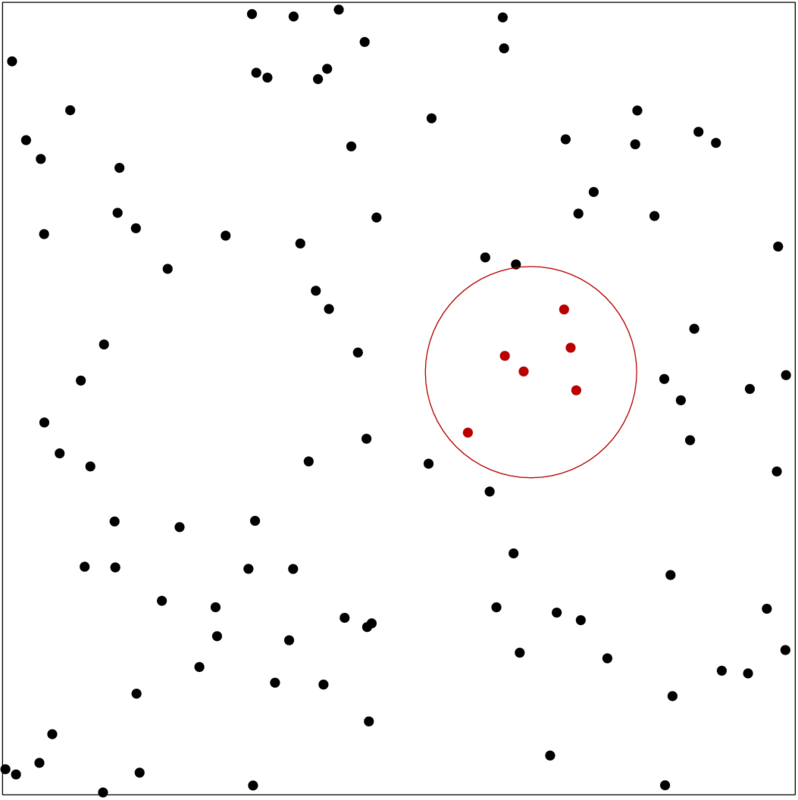 Sets the circle whose center defines the coordinate center, with a radius \ra (expressed in pt). A \foreach loop that creates 200 random points, but you can change the number. 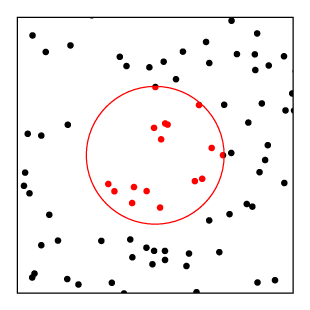 A measurement is done between center and each dot point. Using an \if statement, if the length is above 50pt, dots will be standard black, otherwise, they'll be colored red.